This election day was tough for a lot of Democrats—myself included—but I am proud of how I spent the afternoon of election day. I went to a theater and saw director Mel Gibson’s new movie, Hacksaw Ridge. It is a very life-and-death movie and extremely gory. On that day, the contrast between all that violence and suffering, on the one hand, and “losing an election” on the other, helped me through the day–and through the night. I’ve had a chance now to give my attention to what the movie was actually about and it turns out that I value it for more than its immediately analgesic properties. I want to tell you a little about the story. I am confident I can do that. Then I want to tell you about the look on Desmond Doss’s face (Doss is portrayed by Andrew Garfield), his face at one special point in the film. At that job, I am pretty sure I will fail, but I’m OK with that. If I could go back and pay full price to see a five second segment of the movie—and I’m not really sure I won’t—that is the five seconds I would want to see. It is the five seconds I would recommend to you. 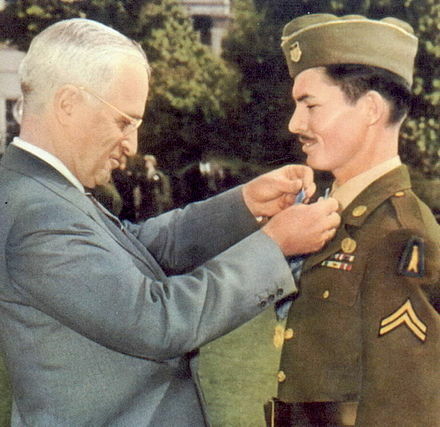 Desmond Doss was the first conscientious objector ever to receive the Congressional Medal of Honor. That makes him stand out, even as we look back at his career from our present time. But, of course, he stood out even more dramatically at basic training where fusing a bunch of individuals into a team is the job to be done. Doss didn’t look like a team member. “Belonging to the team” was defined in basic training as being willing to kill to protect your buddies. Doss’s commitment that he would be willing to die to protect his buddies didn’t have much traction during basic training. It seemed abstract, somehow. His commander tried to get rid of him in any number of ways. The Drill Instructor invited the other men to beat Doss up and they did. The psychologist tried to make a case that Doss was crazy. They court-martialed him for refusing to obey a direct order and had he been convicted, he would have spent the remainder of the war in prison instead of saving the lives of the people who has beaten him. 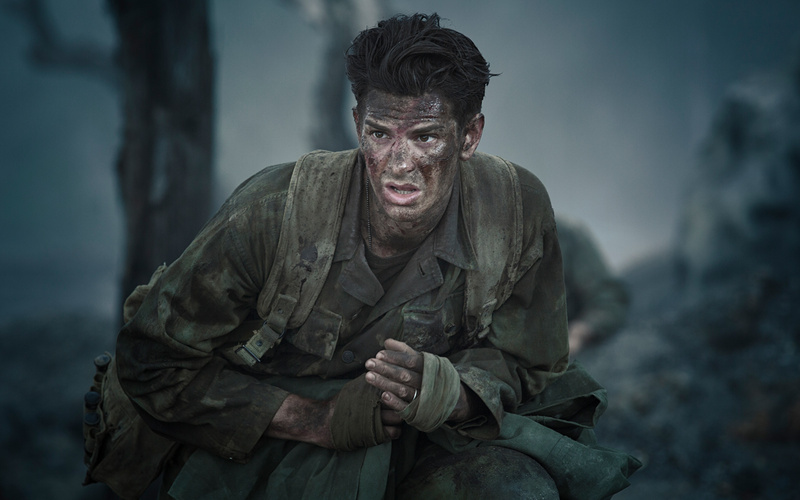 As part of the campaign to control Okinawa, the American troops had assaulted Hacksaw Ridge several times before In the movie version, it was Doss’s first time in battle as a medic. The fighting was horrible and as director, Mel Gibson, makes the most of it. But it establishes the setting for the five seconds I would like to see again. The immediate landscape is a waste of blasted trees and scorched rocks. The sound of war is unbearably loud. The suffering of Doss’s company is awful and personal. We know these people who are in such agony and so does Doss. And in that setting, Doss loses touch with God. For the first time in the film, we see him confused. He looks wildly around, trying to see something in the smoke and flame and says, “God, I can’t hear you.” Doss has lost touch with the mission that had, up until then, sustained him. Then, from off in the smoke somewhere, but not too far away, a soldier moans, “Can anyone help me?” We see the meanings of that call—all the meanings—register on Doss’s face. Those are the five seconds I want to see again and invite you to see if you are able to get through the gore. Doss knows immediately what to do and knows, at the same time, that he has heard God. You could say he has heard God “through” or “in” the voice of the wounded soldier. Actually, you could say that all he actually heard was the soldier. I think that is an entirely plausible way to describe the event from the outside. But the story gives us how it seemed to Doss from the inside. We can see, as we look at the change in his face, what that voice meant to him. So he went back into the battle. “Lord,” he prayer over and over throughout that night, “Help me get just one more.” He got 72. There have been two since, both from the Vietnam war. At that point, I have to say, my mind flashed back to the wonderful psychiatric exam of an actor in Montreal who was hired to play Jesus in a passion play put together by the local Catholic diocese. The psychiatrist examined “Jesus” along several lines, but it was clear that she liked him and the note she sent to the judge—and which we see the judge reading from the bench—said, “This is one of the sanest men I have ever met. He is in a lot better shape than a lot of the judges in this system.” That’s not an exact quote, but it’s close. The movie is called Jesus of Montreal. Doss heard that same voice, we may imagine, in the Japanese soldiers he treated.